Dirt cake is a quick and easy no bake dessert made with a combination of cookies, pudding, and other sweet ingredients. This 3 layer low carb dirt cake recipe will blow your mind! 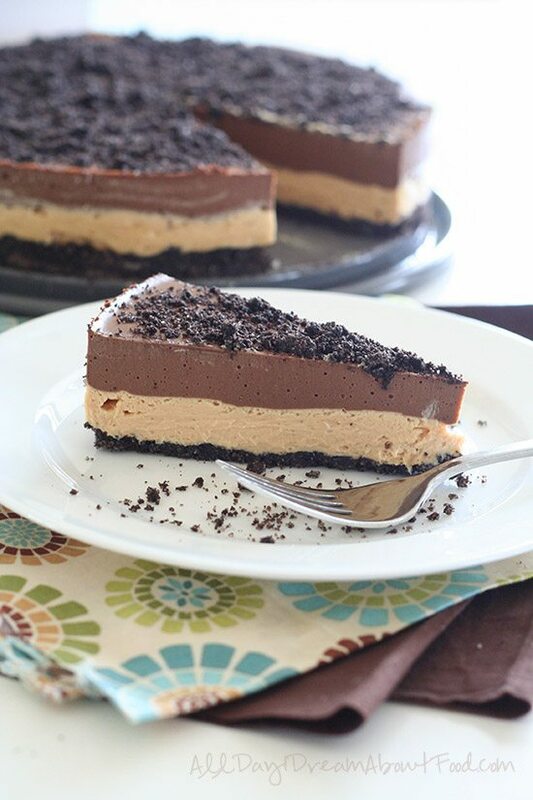 Crumbly chocolate cookie crust with layers of creamy peanut butter filling and chocolate pudding. 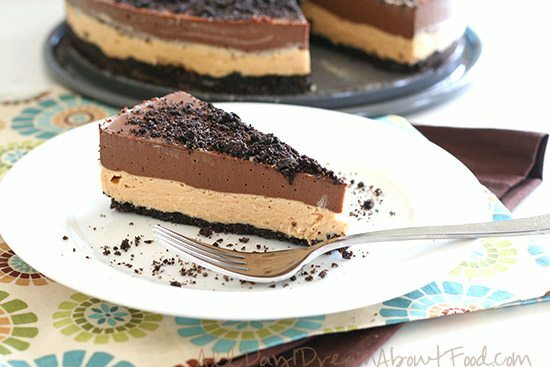 Peanut butter chocolate dirt pie is a gluten-free and grain-free dessert recipe. Dirt cake: not a very attractive name for a dessert, is it? Sounds like something you might have made in the sandbox in kindergarten, or something the school bully might make you eat on the playground after school. Thankfully, it is neither of those things but a delicious, creamy, no bake dessert only made to look as if it contains dirt. Which surely appeals to the kid in all of us. I’d never actually heard of them until relatively recently, perhaps because of my “north of the border” upbringing. But I have to admit, they look ridiculously good. Who can argue with crushed chocolate cookies and pudding? Not me, that’s for certain. Dirt dessert recipes come in all shapes and varieties. Like this adorable Dirt Pudding from NeighborFood. 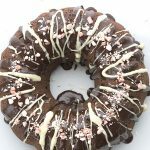 It’s not always about chocolate dirt cake, although because of the dirt-like appearance, chocolate’s the most popular flavor and cake is the most popular form. Some people prefer to make single-serving flower pot dirt cups, while others go a step up, into the land of dirt poke cake recipes. And if they are exceptionally gifted in the dessert making department, they make dirt ice cream brownies! A reader recently reached out over Facebook to request one because her mother always made them on her birthday. And she linked to a delightful one with a peanut butter layer too on The Cookin” Chicks. Wait, what? Chocolate cookies, peanut butter AND chocolate pudding? Well that just jumped to the head of the to-make list! Of course, I wasn’t about to make it with the Oreos or packaged pudding that conventional dirt cakes contain. But a quick look at the ingredients let me know it really wouldn’t be tough to de-carb, in the end. I just had to make all the layers from scratch. A bit more work, perhaps, but definitely worth it. 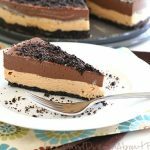 When converting her recipe into a low carb dirt cake recipe, I tried to adhere to the spirit of the original peanut butter chocolate dirt cake recipe as much as possible, including making it a no-bake treat. Summer is coming and we should all be able to enjoy some deliciousness without turning our kitchens into a furnace. So the crust requires no baking, just some firm pressing into the bottom of the pan, and it holds together beautifully. The only part of the dirt cake that gets cooked here is the chocolate pudding, but that’s right on the stove top and doesn’t take more than about 10 minutes. Then the whole thing gets popped in the fridge to set. I made mine in a springform pan because I figured being able to release the sides would allow for easier serving. But you could also make this in a square pan or even a trifle bowl, and serve in big scoopfuls. You could even do individual servings in little plastic flower pots for a fun kid-friendly dessert. Dirt desserts don’t get more fun than that, right? A remake of the summer classic, this low carb dirt cake recipe will blow your mind! 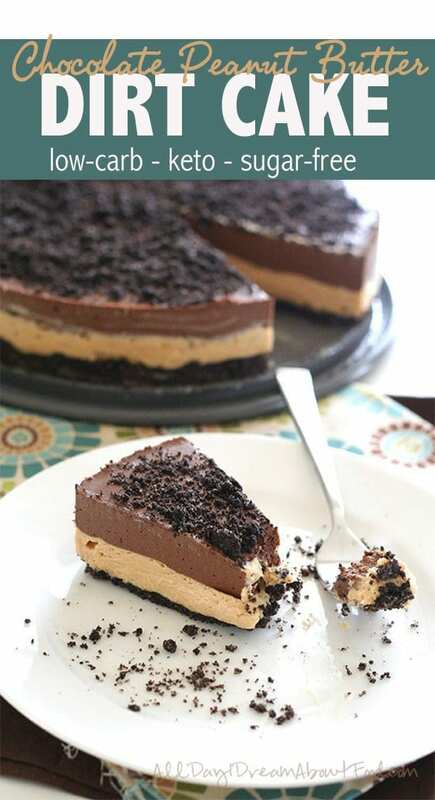 Crumbly chocolate cookie crust with layers of creamy peanut butter filling and chocolate pudding. Gluten-free and grain-free. In a medium bowl, whisk together almond flour, cocoa powder, and sweetener. Add melted butter and stir until well combined. Remove about 1/4 cup of crust mixture and set aside. Press remaining crust firmly and evenly into the bottom of a 9 inch springform pan. In a large bowl, whip 1/2 cup of the whipping cream with the stevia extract until it holds stiff peaks. In another large bowl, beat cream cheese with powdered sweetener until smooth. Beat in peanut butter and remaining whipping cream until well combined. Gently fold in whipped cream until combined. Spread peanut butter mixture carefully over crust. Refrigerate while preparing pudding layer. In a medium saucepan over medium heat, combine almond milk, whipping cream and sweetener. Bring to a simmer, stirring to dissolve sweetener. In a bowl, whisk egg yolks until smooth. Slowly whisk about 1/2 cup of the hot cream mixture into the yolks to temper. Then slowly whisk tempered yolks back into saucepan. Reduce heat to medium low and sprinkle surface with xanthan gum, whisking vigorously to combine. Whisk in cocoa powder and cook until thickened, about 3 or 4 minutes. Remove from heat and stir in chopped chopped chocolate and butter until smooth. Stir in vanilla extract. Let cool about 15 minutes and then spread evenly over peanut butter layer. Sprinkle with reserved crust ingredients. Refrigerate until set, at least 3 hours. To serve, run a sharp knife around the inside of the pan and remove sides. Run the knife under hot water to cut nice even slices. Serves 16. Each serving has 8 g of carbs and 3 g of fiber. Total NET CARBS = 5 g.
335 Calories; 32g Fat (81.8% calories from fat); 8g Protein; 8g Carbohydrate; 3g Dietary Fiber; 115mg Cholesterol; 162mg Sodium. I am definitely making this for my son’s birthday which happens to be today. But, I am also thinking that I might double that pudding recipe and try making “pudding pops” for the freezer. Pudding pops sound good too! The first time I saw a dirt cake was when my older cousin brought a big pot with artificial flowers in it to a party when I was very young. The “dirt” had gummi worms in it. Then at one point she started scooping out the dirt and eating it! I was so grossed out! LOL! I had some though and it was incredibly good! I can’t wait to make this, especially for my kids. It looks so amazing! My family has a tradition where they make the dirt cake and put it in flower pots. At Christmas or Thanksgiving, anyone who is new to the family, i.e. married someone in the family, has to “eat dirt.” It is completely ridiculous…but I do love dirt cake. You can make “worms” by using a bunch of bendy straw packed into a glass. Google the exact process so they don’t run out the bottom of the straw. I’m not sure if they are wrapped in plastic wrap on the bottom or if the home-made jello is allowed to thicken a bit first. They look like earth worms! Kinda cool! I have never had dirt cake but that must change. This looks so delicious and those are some beautiful layers. Oh my WORD, this looks good, Carolyn! Thanks, hon. It was amazing! Looks Fantastic! I’ll be making this soon. You and IBIH are my favorite places to go for recipes! Thank you for all your hard work. 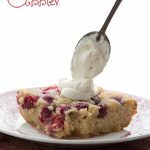 Have you tried to make a lc gf angel food cake? Melissa does make great recipes too! Love her. And no, have not yet tried angel food cake…might be good for the summer! Do you prepare the pan first? Also, is there a brand of the liquid stevia that you like best? I wondered about the liquid stevia too. Different brands/types have different sweetness equivalencies. So I’m as interested in knowing the equivalency as the brand. I am SO making this! It looks fantastic! 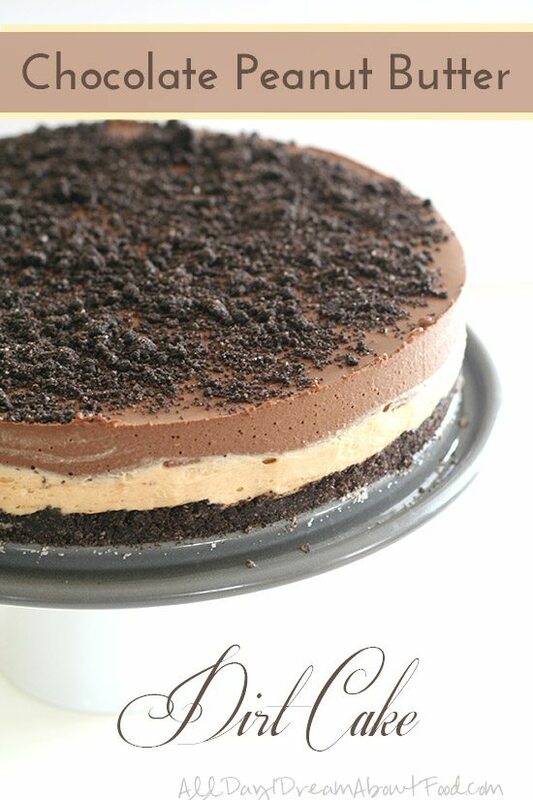 And I bet it could be easily turned into a mocha dirt cake for the choco-coffee-holics among us (my DH comes to mind). One of the many great things about your recipes is their flexibility! I’d forgotten about this pie. It was a go-to when I was teaching at a girl’s school – the 9th graders had an all-class birthday party, and they were still young enough to think this – with the gummi worms – was AWESOMELY disgusting. Good times. The chia pudding sounds like a great idea! I’ve never had dirt cake with a peanut butter layer. Which now means I have been missing out! The peanut butter is added for your protein so we can call this recipe breakfast, lunch or supper..ha ! It looks wonderful! Yum! I am going to have to make this dairy free! Thanks for the wonderful recipe! So glad you liked it! And almond butter would be a great alternative. When you use swerve are you using the regular swerve or the confectioners? If I say “powdered”, I am referring to the confectioners. Otherwise, it’s just the regular granulated. This looks delightful and simple! One question: I don’t like peanut butter or peanut at all, so any suggestions on changing that middle layer? Is there a way to make it a white chocolate layer perhaps? I can’t think of anything else that might work. How about almond butter or another nut butter? I haven’t tested anything with white chocolate so I can’t give advice there. 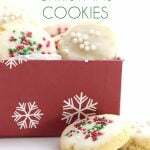 One idea might be to either make a white layer by leaving out the peanut butter and by using vanilla extract (or maybe almond extract or maybe peppermint extract?). I’ve made a low-carb pie filling that is 1 cup of heavy whipping cream, whipped, plus 8 oz of cream cheese (softened). It probably wouldn’t be as stiff as this filling without the peanut butter, but it is possible to make a creamy mousse with cream cheese and heavy cream, plus the sweeteners. Like I said, you’d probably need about a cup of cream, and maybe you’d want to add more cream cheese to compensate for the lack of peanut butter? What!? Now I can’t decide whether to make a grasshopper mint pie or peanut butter. I have a strong allergy to artificial sweeteners. 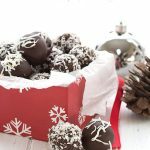 Would the amount of sweetener be the same with sugar with this recipe? Yes, that would be fine. Just to be clear, erythritol is not in any way artificial, but if you want to use regular sugar, the amounts would be the same. This is delicious! Thank you for the recipe! 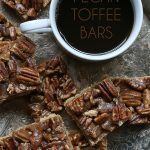 hands-down the yummiest low-carb dessert I’ve ever eaten! I’ve made it twice! The ingredients list shows “Swerve Sweetener” for the peanut butter layer but the instructions say “powdered sweetener”. I didn’t catch that bit the first time around and used standard granulated Swerve. Made the peanut butter layer kind of grainy. My mistake! I am not sure it will freeze all that well, but it’s worth a try if you’re okay with the texture changing a bit when it thaws. I don’t think this will freeze very well, to be honest. The consistency will change…but it’s worth a try! I haven’t tried freezing it yet – but I definitely plan on making this again. If you freeze it, let me know how it turns out! Just wanted to say this was delicious thank-you for the recipe. This freezes very well, just let it thaw for a good bit before eating it. Just as delicious as the day I made it! I love how you take reader requests! I’ve asked for requests several times and nobody says a peep. Haha. I guess I need to try harder at the whole FB thing. Help! Are you out there somewhere? I have guar gum. Getting all the ingredients together to make this for my birthday and only have guar gum not xantham gum. Is there a way to make this work?? I think it should work but you may need more of it in the pudding to help it set. I’d do 1.5 times the amount of xanthan. Thank you that’s what I did. It worked out perfectly. So far so good. I’m waiting for the pudding to cool a bit so I can pour on the cake and then sprinkle with the topping and then set up in the frig. It looks so good! Do you think I can use glucomannann instead of a Xantham? I know it is often used to make puddings. Also, if I don’t have chocolate can I use extra coco powder? I have almost everything needed and would like to try it. Thanks in advance! I have never used glucomannann but heard good things about it. It’s worth a try, I just don’t know the amounts. Loved, loved this cake. I used Truvia as sweetener. I didn’t care for the base, it was quite crumbly. I am going to use the base from your brownie cheesecake recipe with this topping. It should be amazing! I made this and it was delicious! I made it in an 8″ square dish and glad I did because the chocolate layer didn’t thicken up enough (I used a little less cream because I ran out and a little more almond milk). Anyway, it still tasted wonderful and I’ll make it again. I just made this today. I used THM Sweetblend and Lily’s Dark Chocolate Chips, because that is what I had. I put a bit less sweetener in (because THM Sweetblend is a bit sweeter than straight Swerve, and hello, already sweet chocolate chips), and just tasted as I went. I am super excited to eat this in a few hours. Ok Carolyn, I have been lurking for awhile now. (Since I found your peanut butter/ice cream sandwich recipe… YUM!) I have to comment on this one because you have gotten me in SO much trouble… This is incredibly addicting!!! I have always loved the Jell-O brand boxed mousse pies. Even as a child, when we got to choose a birthday cake, it was always these cold pies instead of cake. To me, this is almost identical, but BETTER, than the chocolate/peanut butter version of those Jell-O pies. Also, for anyone wondering, the longer it sits, the more it resembles cheesecake. 🙂 We finished it up last night, and it had sat a little uncovered in the fridge as well, but it had that firmer “cheesecake” feel and we absolutely loved it! Thank you so much for all your hard work and your awesome treats. Do I need to use xanthan gum or can I use something in it’s place? HI! I would also like to know if it’s possible to use something else instead of xanthan gum as it is not sold in Slovenia. You could try a little gelatin. Thank you…and thank you for all the recipes. This sounds delicious!! 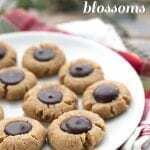 I’m wondering if the almond flour can be subbed out for cashew flour? I bought a bag of cashew flour at TJ’s a bit ago, and have no idea what to do with it–any ideas of dessert recipes that can take that substitution? LOVE your blog! Is swerve good for diabetics? If no – what else can I use to sweeten the cake? I didn’t received answer for this question. She answered that it’s good for her as a pre-diabetic, and I agree. As a type 1 diabetic, my blood sugars aren’t negatively affected by using Swerve as a sweetener. I don’t think you need to search for a different sweetener. Thanks for chiming in, Melanie! ecxuse me but I have another question-what is xanthan gum? Does it has another name? Can I make the cake without it? It’s a powder that thickens things without adding carbs. I don’t believe it has another name and in this case, you need something to help thicken. You could try a little gelatin. This looks wonderful! I can’t wait to try it. Thank you! 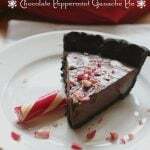 love the pie, but my daughter has tree nut allergy, can i use coconut flower ?? In this application no. But you can use sunflower seed flour, it should work very well. It’s drier so you may need more melted butter. I really don’t know, if you followed everything as is. I suspect it didn’t cook quite long enough to get the egg yolks to thicken. That’s all I can think. I just made this last night and I had the same problem with the runny pudding. It still tasted great but I wasn’t sure what I did wrong. How thick should it be when you take it off the heat? 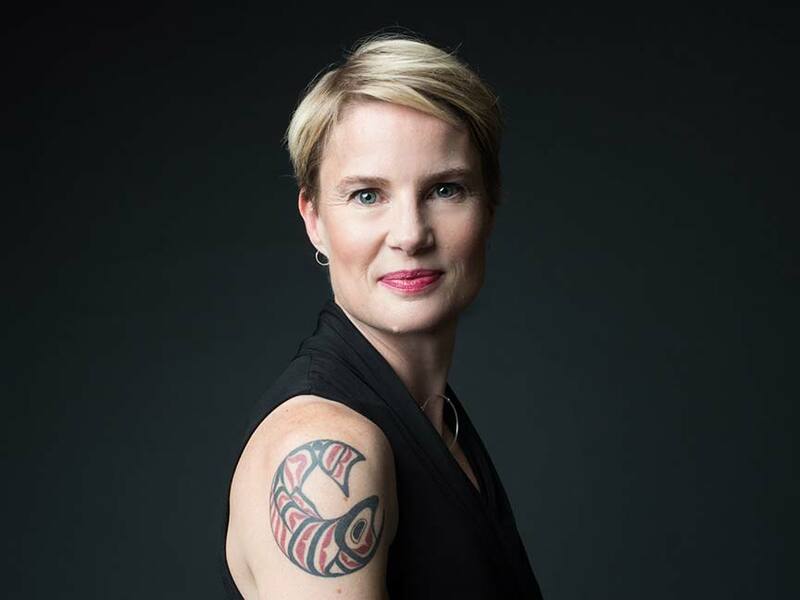 BTW Carolyn, as a Canadian and diabetic I appreciate and love all the work you put into this site. I freaked out a bit yesterday when I found the Pumpkin Cream Cheese recipe had been “updated” but then I read your blog post and calmed down. They were perfect. It should be pretty thick…but not curdled. This looks great. I did notice that swerve has a tendency to re-crystalize after baking, making a crunchy like product. Does this happen with the chocolate pudding in this recipe? The low carb products are very expensive and I hate when the food does not turn out correctly. Thanks so much! I was wondering if the swerve in the chocolate pudding is going to re-crystalize? That seems to happen with my recipes when I use swerve. I did not find that it did in this recipe at all. I made just the pudding today, no other layers. FINALLY, a pudding recipe without corn starch! It turned out very well. I do think, though, that if you don’t need the pudding to “stand up” as a layer you can ditch the xanthan gum. I find it often makes things slightly lumpy, no matter how wildly I whisk. If you reheat the egg/milk mixture to about 170 (I used a meat thermometer, worked fine) it sets up beautifully to a pudding consistency, and I don’t think the xanthan added anything to it. Next time I make this (just as pudding) I’ll sift the cocoa pwder, and probably also strain it before putting it in little cups, to get out the chalazae. This may make it smoother. It makes about 500 ml total, or 6 containers at 80 ml or 1/3 cup each. Yes, I agree, you probably wouldn’t need the xanthan if you weren’t putting it into a cake that needs cutting! wow wow wow! Made this yesterday and still enjoying it tonight. Really really good! Not a simple recipe but I enjoy cooking so that’s fine with me. Came out perfectly. The peanut butter layer is especially luscious. I halved the recipe (because I’m an oinker with no self control) and used Splenda (because I can’t take the Swerve “cooling effect”). I also reduced the xanax to a pinch because it gives me the heebie jeebies. It might not even be needed– lots of traditional custards get firm with egg yolk alone. This was A++++ ! Even the dubious hubbie liked it. I’m so impressed with all the work that must have gone into getting the right sweeteners and the right proportions of everything… Thanks!! hee hee. that one I did NOT leave out, clearly. do you think i could use store bought pudding? at what point would i pour it on the cake? I think you would pour it on right after you’d made the pudding, and then make sure to let it set properly. I am wondering if I can leave out the Xanthum Gum. I’ve got everything else but that. ?? Your pudding layer could end up pretty thin and runny. Do you have any gelatin? If so, mix about 1 tsp (if it’s the grassfed gelatin in a can…if it’s Knox in envelopes, use only half a packet) with some water, then mix into the warm pudding. It might gel a little too much but at least you won’t have a runny layer of pudding that goes everywhere when you take the sides of the pan off. My second time making this because I’m literally addicted!! The custard is so luscious and creamy not like anything I’ve had in a while. The peanut butter is a completely different texture, more solid (but light because of the whipped cream) so it pairs perfectly with the custard. Then the crust…the only thing that comes to mind it Oreo. Just awesome. We loved the cake the first time. planning on making it again for Easter. Thanks so much for all your hard work. Dirt Cake, in the words of my family, is the “Bomb Diggity”! However, THIS version with peanut butter? Holy Cow, I MUST try!! I wonder, though, how I would replace the stevia, sweetener and xanthan gum? Can you advise me? Hubby and I made this tonight. We made a couple of subs because we were missing some ingredients (gelatin instead of xantham gum, chocolate unsweetened almond milk instead of plain). SO delicious! I am going to make a pie for the 4th of July out of the crust and PB later with ganache drizzled over. Can’t wait! Thank you so much! I am a totally inexperienced with gluten-free/low-carb ingredients… I need to make a low-carb dessert & was wondering if it is possible to use gelatine instead of xanthan or guar gum to set the chocolate layer..? I don’t think I would be able to find either of those where I live but gelatine would be easy to get. Yes, you can do that although it may have a slightly more jelly like consistency. Someone else said they did it. 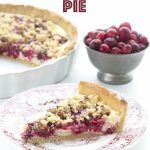 I love this pie and so did my husband and granddaughter. It really is wonderful as written. The recipe looks complicated but it really is very easy. I tried to calculate the carbs and fat to input in my fitness pal. I came up with a much higher carb count than you. I didn’t substitute anything but by my calculations the carbs are 8% not 8 which means there are 24 per slice minus the 3 grams of fiber. Did I miss calculate something? I had eaten this as an S on THM but it looks like it should be a crossover. Nope, it’s that you are counting in the carbs from erythritol. They should be discounted, on THM. I don’t even bother adding them into my carb count because they have little to no effect on blood sugar. No worries! It’s a pretty common mistake and if not for my glucose meter, I would hardly believe it myself. But I test often and things with erythritol just don’t move the needle on my blood sugar. Made this for a coworkers birthday the end of May and it was fantastic! Everyone loved it. The birthday girl took the remainder (we didn’t leave much) home to her little kiddies and they gobbled it up. I was surprised at how quickly it goes together and will be making this again, starting with this July 4th weekend. It should be a perfect ending to a day of grilling. 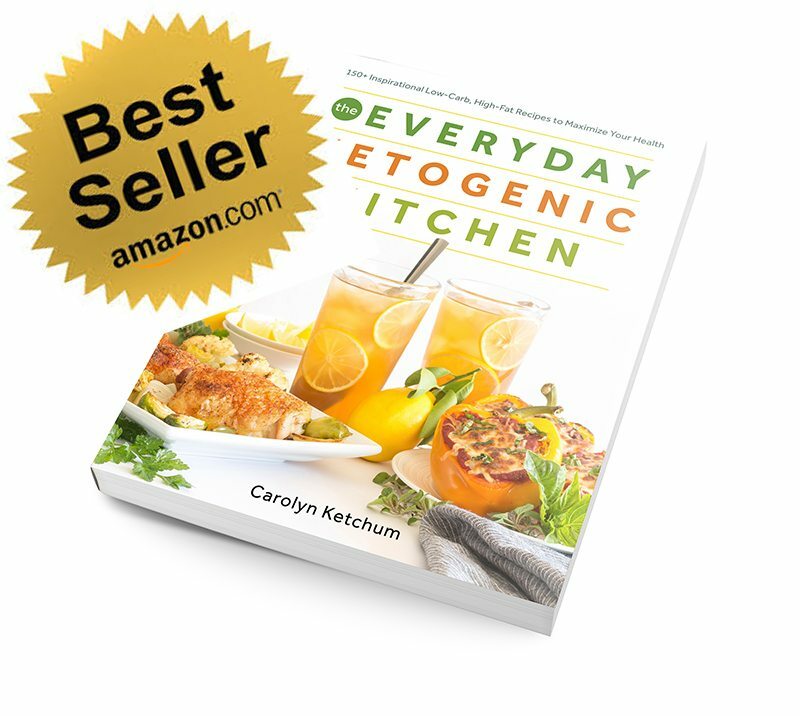 Thank you for the recipe Carolyn! Not sure if you are still responding to this post but I’ve seen many of your dessert recipes calling for liquid stevia extract. What exactly does this do for the recipe that it’s needed in addition to sugar/sweetener? And is it possible to just dissolve stevia in some water as a substitute? I just use it because it’s easier. If you have the powdered kind, you can sub that but it’s typically stronger so you don’t want as much. Maybe half the amount of the liquid version. Great, thanks for answering so quickly! Can’t wait to try this! For the liquid stevia, do you still use NuNaturals since the formula change? My daughter made this for my 70th Birthday party. It was so delicious I almost cried! All the other guests at the party couldn’t believe it was sugar free and low carb. It is very rich and a little goes a long way. This will make everyone very happy! Thanks, Paula…and happy Belated Birthday! I made this for Christmas dinner, after a fantastic low carb barbecue meal. 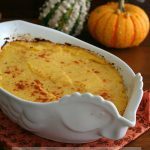 Everyone was amazed that something so delicious and creamy (really, the textures in this dessert are incredible) could be low carb. The peanut butter flavour came through beautifully and the cacao (subbed for cocoa) layer was not too sweet or strong, but a perfect balance. To top (and bottom) it off, the dirt crumbs had a lovely slight crunch to offset the smooth creaminess of the top layers. My guests scored it a hearty 10/10 and I wouldn’t hesitate to make it again! Yum!! This looks awesome. DEF going to make it. I have a baking blend that I’ve made. 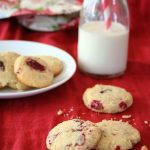 Could I use it instead of just almond flour? I guess I’d have to play with the ratio of wet ingredients to dry. Any suggestions? Without knowing what’s in your baking blend, I can’t really help too much! I have used it…not often but yes, I’ve used it. So I think for this recipe, use the same amount but then use a bit more melted butter because it’s drier than almond flour. This is just divine. Every layer is delicious on its own, but put together? Perfection. I’m also really happy that a serving is truly satisfying. This one is one to savor, especially with a good cup of dark roast coffee. Thank you so much! Just a quick comment–in the list of ingredients for the Peanut Butter layer it just calls for ‘Swerve Sweetener.’ But in the instructions for the pb layer, it says powdered sweetener. Just thought you might want to change the ingredient list for that layer to specify that it is powdered/confectioner’s for that layer and not granulated. I made this for Easter (along with your lemon cream cake) and both were hits! I really want to try this but I think 16 servings is too many for a first try for a new LCHF and a learning Cook. I want to half the recipe and put it individual or 2 serving containers so I can freeze some if my Smalls are not crazy about it. With a big cake I would be a mess trying to keep myself from eating it all. Could I successfully do this in cupcake tins or do you have a better idea for portioning? Cupcake tins would be fine but line them with parchment paper liners so the filling doesn’t stick to the pan. can replace the almond stuff to coconut flour and milk .. well due i have allegies to tree nuts.. .. yep all tree nuts like almonds, walnuts.. any nuts i cannot eat at all.. but any tip can replace those almonds? All of the nutritional info is right at the bottom of the recipe. Hello! Planning on making this for Thanksgiving for my husband who is a Type 1 Diabetic; because I’d like to use things I have on hand, I noticed that gelatin can be substituted for the xanthan gum as can ground flax and chia. Do you recommend one over the others? I have all 3… grass-fed gelatin, and ground flax as well as chia I can grind. If I do sub with one of those, do I need to mix them with water first or just add to other ingredients? And if I do need to add to water, how much water? Just a smidge to create a gel as if I was making a flax/ chia egg? I would definitely not do the chia or flax. For grassfed gelatin, I would do about 1 1/2 teaspoons and I would mix it with a few tbsp of water before adding. Then whisk it in at the time you would whisk in the xanthan and make sure to whisk very well. Powdered sweetener for the peanut butter layer?or does granulated sweetener work?? Granular might make it a bit gritty. Is it possible to adjust this recipe for 4 servinginstead 16 serving? I am having trouble finding liquid stevia extract. I can find the powder extrct and I can find liquid stevia. What brand do you use or can I use the powder? We made this today for dessert tonight and it was absolutely delicious!!! Amazing! Thank you for sharing this. Hi. This looks so yummy. I can’t wait to make it. I’ve been told I have a dairy intolerance so what could I substitute the cream cheese with? I’ll use coconut cream instead of regular cream. Also can I replace the butter with coconut oil? I have almond meal. Can that be used instead of almond flour? Thanks. Almond meal and coconut oil are fine. If you can find a good almond-based cream cheese, like Kite Hill, you will be all set! I am so thankful this popped up on my memories of Facebook years past. I completely forgot about this recipe and this is exactly what I need/want. Can’t wait to finally make this. ( FYI the link in the recipe for one of the Swerve “sugars” isn’t working. You are missing out on affiliate revenue. ). Thanks so much for answering everyone’s questions too. It really helped me get the answers I needed. Can this be made without the xanthan gum? It really creates issues for me. Health issues or clumping issues? If it’s clumping, you can mix it into the cocoa powder beforehand. That helps a lot. Made this for dinner with some friends today. Mmm, mmm, mmm!!! This is some seriously good stuff! I think my favorite part of it was the peanut butter layer. Regardless, the recipe is a keeper. 🙂 And thanks for helping to expand my limited skills. I had never tempered egg yolks before or made a pudding from scratch. It’s not so hard at all but was a little intimidating before I got in there and got ‘er done. Thanks, Carolyn! And Happy New Year! I saw a similar but high carb recipe on Pinterest recently and I saved it to revamp for keto someday and I was thinking I would use your chocolate pudding recipe for that layer. I knew I’d have to experiment with the “Oreo” layer so I’m glad I found this. I’m excited to try it sometime. Thank you for the recipe! This looks incredible! You just can’t go wrong with chocolate and peanut butter! 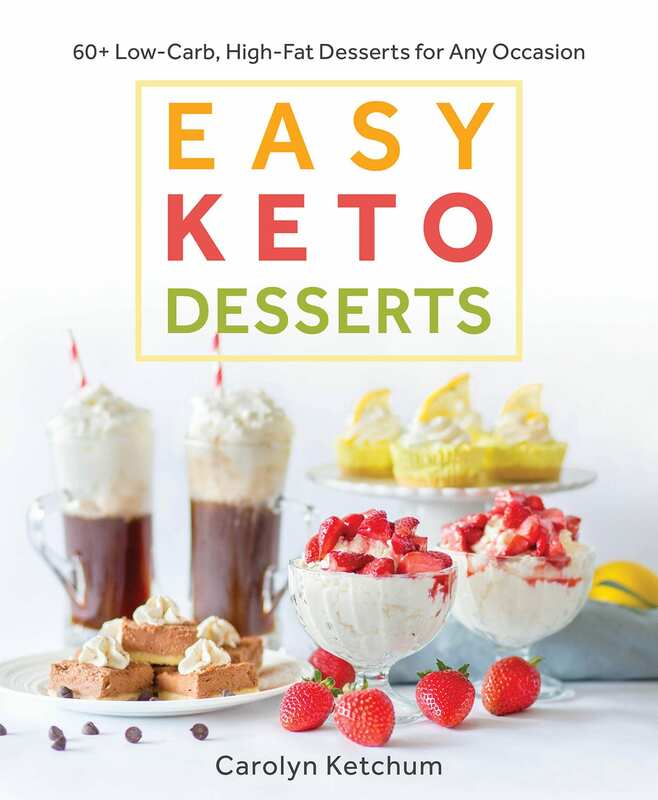 This was absolutely delicious and the best low-carb dessert Ive made yet! 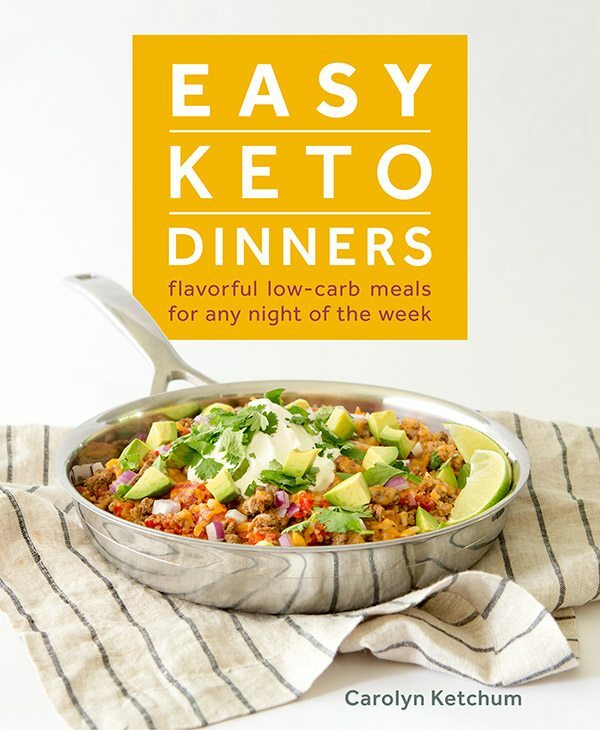 I made this for a dinner party where one of the guests is low-carb and everyone loved it! Even the people who arent low-carb loved it! Thanks so much for sharing this awesome recipe! Hi Carolyn 🙂 This dessert looks delicious! 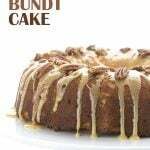 My husband and kids would love this with the combination of peanut butter and chocolate! Do you have a preference of the brand of liquid stevia that you use? I would like to start using more of that in my baking. Why is it there are no stars to rate this? We think it’s a 5 star cake!! Wondering what kind of peanut butter you use? Natural? I made this today for our anniversary. Oh my word. This is one of the better chocolate peanut buttery desserts. Just yum! I don’t know why I hadn’t made it before, but it will definitely be made again at our house. Thanks! This is one of the best desserts I’ve ever made! It’s so rich and creamy and feels naughtsy! ha ha I LOVE it! Thanks for sharing it!!! Hi I’m about to try this but I have two questions. 1. Is the butter salted or unsalted? 2. Instead of liquid stevia could I use liquid monk fruit sweetener? I’m not sure if they’re equivalent in sweetness. Unsalted is fine. I use salted a lot of the time but I have a high tolerance for salt. I am not entirely sure how strong the monk fruit is but I think you probably could sub it. This is my favorite keno dessert! It is sooooo good. 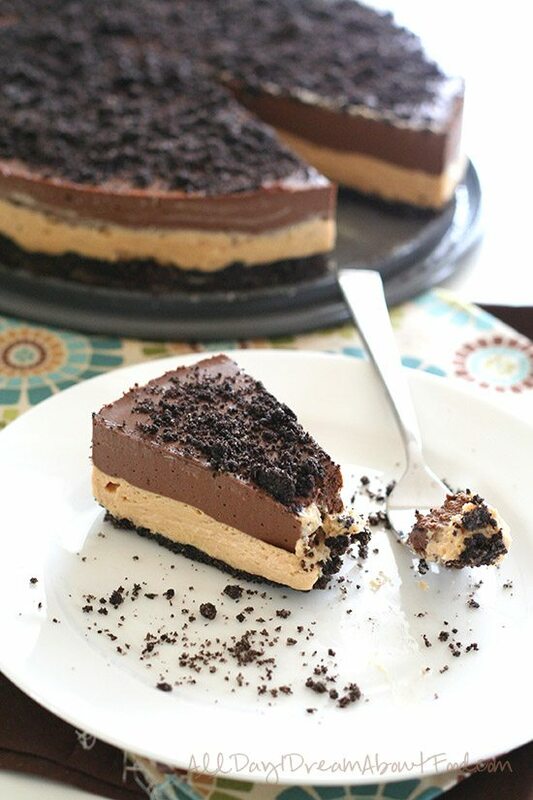 I leave off the chocolate pudding layer and just call it peanut nutter pie and we love it. Freezes great and keeps me from ever needing to cheat. Thank you so much for creating this recipe. The proportions are perfect! Made this last night and here twenty four hours later and only two small pieces remain! This is one incredible recipe! Turned out just perfect!! I made this today and it tasted great! My only thing was that my crust didn’t seem as dark as yours in the photo, it was very light brown, not sure why. My other thing is did you make this in a 8” or 9” pan? I made it in a 9” like the instructions said but mine didnt look as thick as yours did in the photo. All the layer looked thin. Thoughts? It was still great tasting though! Well the colour is going to depend on the brand of cocoa powder but mine was just Hershey’s, I think (I haven’t made this recipe in a long time). But yes, I did use a 9 inch pan because that’s what most standard springform pans are. My sister made this this weekend and it was soooooo good !!! Just a fabulous recipe and the pudding layer was perfect pudding! YUM!! When you say whipping cream you mean heavy whipping cream correct? Yes. But they are really both the same for these purposes. I made this last night. WOW! Is is amazingly rich, and creamy, and yummy. I followed the recipe exactly with only one exception. I don;t have liquid stevia extract. I omitted it altogether and still thought the pie was AMAZING! I don’t buy swerve, but I have an erythritol/stevia blend that I buy in bulk. I just dropped it into a coffee grinder for 5 to 10 seconds and it was a fine powder. I highly recommend doign this. It blends/dissolves so much easier. I don’t experience the cooling effect with Swerve but you do need a powdered sweetener so I think it’s your best bet. Thanks for the advice! I tried the PB layer tonight and the minty cooling effect is minimal; am sure it will be fabulous. (Sorely tempted to try the brownie layer from your brownie cheesecake as the base layer… 🙂 Thank you so much for all your amazing work and public service! Oh man, now THAT is pudding! Absolutely delicious, and the texture….! I haven’t gotten to eat the fully assembled cake yet, but I just wanted to let other readers know, if they are lazy pudding makers like me (I NEVER bother with tempering eggs), it will still come out fine if you mix all the ingredients together at the start. 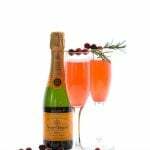 Just be sure to cook for 2-3 minutes more once you start seeing un-burst bubbles following in the wake of your whisk (the xanthan gum makes the surface tension too heavy for bubbles to break on their own). Scrumptious!